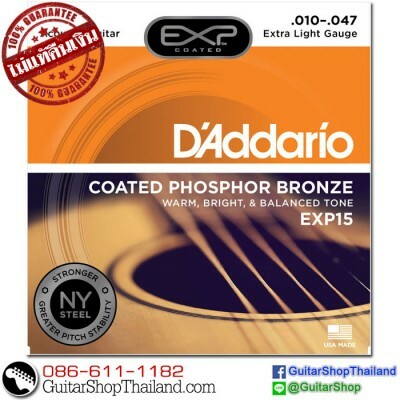 Condition: New สายกีตาร์โปร่งเคลือบกันสนิม D’Addario EXP15 Coated Phosphor Bronze Acoustic Guitar Extra Light 10-47 รับประกันสินค้าแท้ 100% ไม่แท้คืนเงินDescriptionD'Addario's lightest gauge of acoustic strings, EXP15s are ideal for beginners or players who prefer a softer tone and easy bending.D’Addario’s EXP coated strings now feature plain steel strings and hexagonal cores made of our revolutionary NY High Carbon Steel. Envisioned, perfected, and manufactured by D’Addar.. 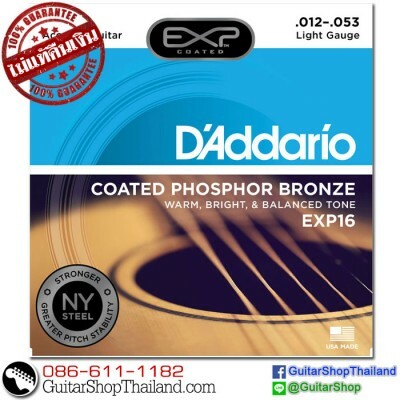 Condition: New สายกีตาร์โปร่งเคลือบกันสนิม D’Addario EXP16 Coated Phosphor Bronze Acoustic Guitar Light 12-53 รับประกันสินค้าแท้ 100% ไม่แท้คืนเงินDescriptionD'Addario's most popular coated acoustic set, EXP16 delivers the ideal balance of volume, projection and comfortable playability. D’Addario’s EXP coated strings now feature plain steel strings and hexagonal cores made of our revolutionary NY High Carbon Steel. Envisioned, perfected, and manufactured by D’Add.. Condition: New สายกีตาร์โปร่งเคลือบกันสนิม D’Addario EXP26 Coated Phosphor Bronze Acoustic Guitar Custom Light 11-52 รับประกันสินค้าแท้ 100% ไม่แท้คืนเงินDescriptionReferred to as "Custom Light," EXP26 strings are a D'Addario original hybrid gauge and a comfortable compromise for players who want the depth and projection of light gauge bottom strings, but slightly less tension on the high strings for easy bending.D’Addario’s EXP coated strings now feature plain steel strin.. 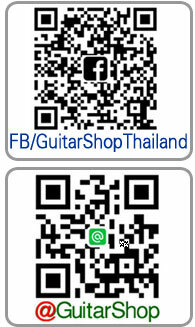 Condition: New สายกีต้าร์ไฟฟ้าเคลือบกันสนิม D'Addario EXP110 Coated Nickel Wound Light 10-46 รับประกันสินค้าแท้ 100% ไม่แท้คืนเงินDescriptionEXP110 delivers all the tone and performance of our best-selling EXL110 set, with 4 times more string life. 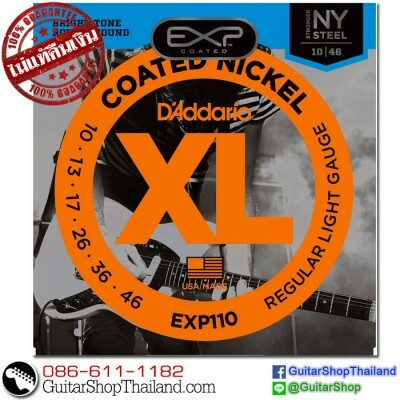 10-46 is the most popular gauge for its ideal combination of flexibility and tone.D’Addario’s EXP coated strings now feature plain steel strings and hexagonal cores made of our revolutionary NY High Carbon Steel. Envisioned, perf.. 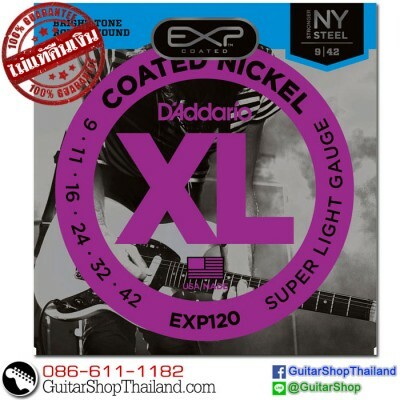 Condition: New สายกีต้าร์ไฟฟ้าเคลือบกันสนิม D’Addario EXP120 Coated Nickel Wound Super Light 9-42 รับประกันสินค้าแท้ 100% ไม่แท้คืนเงินDescriptionEXP120 delivers all the tone and performance of our best-selling EXL120 set, with 4 times more string life. 9-42 is preferred for its easy playability and biting tone.D’Addario’s EXP coated strings now feature plain steel strings and hexagonal cores made of our revolutionary NY High Carbon Steel. 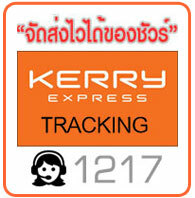 Envisioned, perfected, and manufac..